My memoir Things Nobody Knows But Me will be published by Transit Lounge in 2019. Excerpts of Pajalic’s memoir appear in Rebellious Daughters (Ventura Press), Etchings (Ilura Press) and the forthcoming September release Meet Me at the Intersection (Fremantle Press). Read the full Books and Publishing announcement here. Review by Erich Mayer on ArtsHubAmra Pajalić has written this memoir in the style of a novel. She makes frequent use of dialogue and describes in detail how people thought and felt. She avers that ‘while every event depicted in this book did occur, I have used fictional devices to recreate dialogue and setting. . . . I have also compressed timelines slightly in order to create narrative flow.’ That this memoir has been partially fictionalised, however, does not detract from its sincerity or frankness. Pajalić recounts her childhood exploits and relationships with no holds barred. This includes her sexual experiences, conveyed as fully as the other events that shape her life. That sexual abuse occurred then, as now, is hardly a surprise. A friend tells the teenage Pajalić, ‘My uncle comes and plays with me while Mum is at work. He takes off our pants and we do stuff.’ This is the same friend who shows her how to steal chocolate bars. Pajalić spent many years of her childhood in Bosnia, being brought up by her grandparents, who held old-fashioned rules about how a young girl should behave. They cared for her in their own way, even if that included instances of painful physical punishment. Breakfast was ready for her and everyone in the household when they rose because her grandmother would start her long day by getting up at five in the morning to milk the cows, collect the eggs and prepare food. However, most of Pajalić’s youth was spent in Australia, and in the part-time care of her mother, Fatima. 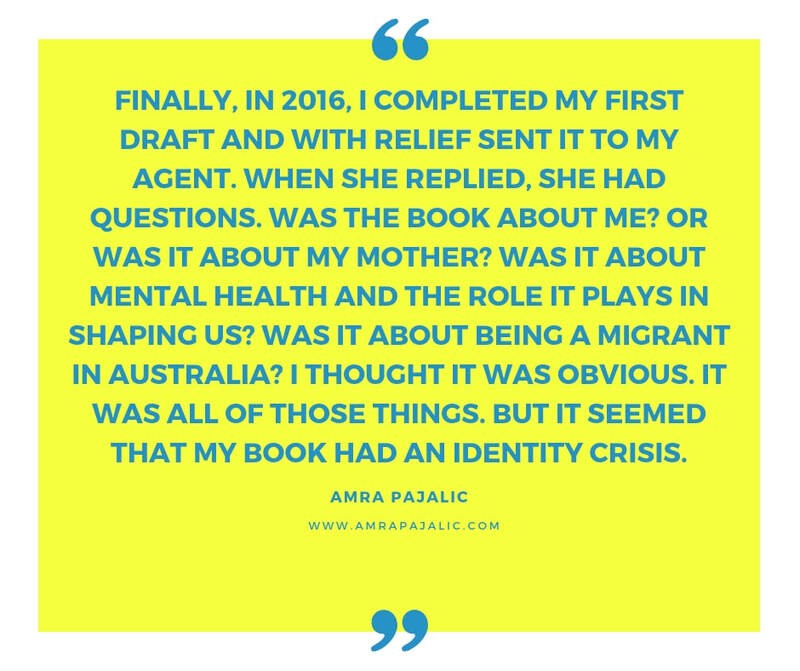 Many of Pajalić’s recollections feature her mother with whom she had a strange and difficult relationship, overwhelmingly because, unknown to her, Fatima was afflicted with bipolar disorder. Fatima’s illness was mis-diagnosed for many years which resulted in her being frequently in and out of hospital, and in being subjected to incorrect and damaging mistreatment. When she was not ill, Fatima was a loving parent, although at times her desire for a suitable partner got in the way of her other relationships. Pajalić has succeeded in making her point with this memoir. Because of the strong women in her past, who did the best for her in difficult situations, she was able to make good choices for her career and marriage and is confident that her daughter will have even better prospects than she had. I've been blogging about the process of writing my memoir and you can read these blog posts using the links below. Blog post 09/04/15 about losing my memories during the writing my memoir here. Blog post on 19/01/16 about my version of success here. Read full blog post 02/04/18 about my memoir being accepted for publication here. Blog post 15/05/15 about being mentored by Alice Pung funded by Creative Victoria here. Blog post on Lee Kofman's blog about the process of finding my memoir's identity. Read it here.